The National Convention is where AMVETS leaders and members will be given a chance to shape the future of our great organization. From electing new leaders to voting on resolutions that set the foundation of AMVETS, the National Convention sets the stage for the coming year. The Honorable Robert Wilkie was nominated by President Trump to serve as the tenth Secretary of Veterans Affairs. He was confirmed by the United States Senate on July 23, 2018, and sworn in on July 30, 2018. Mr. Wilkie previously served as the acting Secretary of VA from March 28 to May 29, 2018. The son of an Army artillery commander, Mr. Wilkie spent his youth at Fort Bragg. Today, he is an officer in the United States Air Force Reserve assigned to the Office of the Chief of Staff. Before joining the Air Force, he served in the United States Navy Reserve with the Joint Forces Intelligence Command, Naval Special Warfare Group Two, and the Office of Naval Intelligence. Mr. Wilkie has more than 20 years of federal service at the national and international levels. During the George W. Bush Administration, Mr. Wilkie served both Robert Gates and Donald Rumsfeld as Assistant Secretary of Defense from 2005–2009, and he was the youngest senior leader in the Department. Mr. Wilkie was Special Assistant to the President for National Security Affairs and a senior director of the National Security Council under Dr. Condoleezza Rice. He also has extensive experience in the United States Congress, including recent service as Senior Advisor to Senator Thom Tillis and service as Counsel and Advisor on International Security Affairs to the Majority Leader of the United States Senate, the Honorable Trent Lott. Mr. Wilkie shepherded the Senate confirmation process for James Mattis, Robert Gates, and Admiral Mike Mullen (CJCS), and he was responsible for the preparation of General David Petraeus and Ambassador Ryan Croker for their multiple appearances before the Congress in defense of the Iraqi Surge. Mr. Lawrence B. Connell was appointed as the Department of Veterans Affairs, Veterans Health Administration (VHA), Chief of Staff on July 23, 2018. In this role, he serves as a senior advisor to the Under Secretary for Health and the Principal and Deputy Under Secretaries. He is the lead management official for coordinating organizational solutions and operational activities for the VHA, the United States’ largest integrated health care system. Prior to this appointment, Mr. Connell was a Senior Advisor to the Secretary of the Department of Veterans Affairs. He also served as the Acting Medical Center Director of the Washington, DC VA Medical Center. Mr. Connell is a retired Colonel from the U.S. Army where he served as the Deputy Chief of Operations, Joint Cyber Center, United States Pacific Command. Throughout his military career, he has held multiple leadership positions. He served more than 30 years as an Army medical service officer, including 15 years as a Medevac Pilot. Additionally, Mr. Connell served as the Chief Operating Officer, Pacific Regional Medical Command, Honolulu, Hawaii; the Chief Executive Officer of Stuttgart U.S. Army Medical Health Clinic; the Commander of the 43rd Area Support Medical Battalion; and other medical-related staff positions. Mr. Connell, a distinguished military graduate, holds a Bachelor of Science in Communications from the University of Rhode Island and a Master’s degree in International Relations from Troy State University. He is a certified Lean Six Sigma Black Belt and a graduate of the Disney Institute for Health Care Excellence. Mr. Connell is the recipient of the Legion of Merit with Oak Leaf Cluster award and two Air Medals. Jackie Smith, a 6-4, 235-pound tight end, was a fixture for 15 years with the St. Louis Cardinals from 1963 to 1977. He finished his career with the Dallas Cowboys in 1978. At the time of his retirement, he ranked as the all-time receiver among tight ends with 480 receptions for 7,918 yards and 40 touchdowns. An outstanding football and track competitor at Northwestern Louisiana, Smith was the Cardinals' 10th-round draft pick in 1963. Smith was a talented receiver, a punishing blocker, a fierce competitor and an excellent runner after he caught the ball. He even handled the Cardinals' punting chores his first three seasons. Smith became the Cardinals' starting tight end during his 1963 rookie season and remained a fixture at that spot the rest of his tenure in St. Louis. He gave notice of things to come when he gained 212 yards on nine receptions against Pittsburgh that year. The team's offensive co-captain, Smith had one string of 45 straight games from 1967 to 1970, with at least one reception. He played in 121 straight games starting with his first NFL contest and continuing until a knee injury sidelined him in his ninth season in 1971. Injuries slowed him again in 1975 and 1976 but Smith still played in 198 games. Smith played in five straight Pro Bowls from 1967 through 1971, and was named All-NFL in 1967 and 1969. He had his single season best performance in 1967 when he recorded 56 receptions for 1,205 yards and nine touchdowns. During his career, he caught more than 40 passes seven different years. His 16.5-yard average per reception is a reflection of both his excellent speed and determined running style. Justin Brown is the CEO of the Nimitz Group, a bipartisan consulting firm tackling the most difficult veteran and healthcare issues. He is also is the founder of HillVets. Mr. Brown has nearly a decade of Veterans’ focused experience and advocacy, fighting on behalf of Veterans and their families to increase educational and employment opportunities, to expand access to benefits and healthcare, and to eliminate homelessness. He has worked for the VA and several veterans service organizations. He was a Staff Director for numerous Subcommittees for the House Veterans Affairs Committee. Justin began his commitment to public service at the age of 17 when he enlisted in the United States Navy. There, he completed one deployment in support of Operation Southern Watch and two deployments in support of Operation Iraqi Freedom. Following Justin’s service, he attended the University of Utah, graduating with dual bachelor’s degrees in three years. He became active in the Veterans of Foreign Wars (VFW) where he served as the youngest All-American District Commander and Department Chief of Staff in its history. Joseph R. Chenelly was appointed national executive director of the nation’s fourth largest veterans service organization in May 2016. In this capacity, he administers the policies of AMVETS, supervises its national headquarters operations and provides direction, as needed, to state and local components. Joe previously served as AMVETS’ national communications director. Joe Chenelly is the first veteran of combat operations in Afghanistan and Iraq to lead one of the nation’s four largest veterans service organizations’ staffs. A native of Rochester, N.Y., Joe enlisted in the U.S. Marine Corps in March 1998, serving with the 1st Marine Division, and was honorably discharged as a Staff Sergeant in April 2006. He is a combat veteran of Operation Enduring Freedom and Operation Iraqi Freedom, having served in Afghanistan, Pakistan, Iraq, Kuwait, East Timor and the Horn of Africa. Joe became a veterans advocate, a journalist, and a political adviser after his time in uniform. He covered military and veterans matters on staff with Leatherneck magazine, the Military Times newspapers, USA TODAY and Gannet News, reporting on operations in the Middle East, Southwest Asia, Africa, as well as disaster relief in the United States. Joe was named one of the 100 “most influential journalists covering armed violence” by Action on Armed Violence in 2013. He was the first U.S. Marine combat correspondent to step into enemy territory after September 11, 2001, as a military reporter in Pakistan and Afghanistan. He also reported from the front-lines with American and allied forces in Kuwait and Iraq as that war began. He was on the ground for the start of both Operation Enduring Freedom and Operation Iraqi Freedom. Joe served as AMVETS’ national communications director in 2005, and for the past eight years as assistant national director for communications for the Disabled American Veterans (DAV) in Washington, D.C. leading grassroots efforts through social networking and new media. He has also served as president of Social Communications, LLC, and as a public affairs officer director for the Department of Navy. Joe is an alumni of Syracuse University and Central Texas College. He resides in Fairport, N.Y., with his wife Dawn, a service-connected disabled Air Force veteran, and their five children. Drill Instructor of the Year” and meritoriously promoted to the rank of staff sergeant in 1999, followed by appointment to the rank of warrant officer a year later. Four months after the September 11, 2001, attacks, as he prepared to deploy to Afghanistan with the 1st Marine Division, he was involved in a vehicle collision at Marine Corps Base Camp Pendleton and became severely disabled at age 29. Gillums received an honorable discharge from military service and went on to pursue a new career in advocacy for veterans and their families. Paralyzed Veterans of America’s veterans benefits department in 2011 and subsequently served as the organization’s executive director for two years. Gillums holds a master’s degree from the University of San Diego School of Business Administration and completed his executive education at Harvard Business School. In a move that signaled the organization’s effort to take the lead in veteran healthcare advocacy, American Veterans (AMVETS) announced earlier this year the hiring of Lana N. McKenzie as Chief Medical Executive. In her role, she focuses on shaping and improving upon VA policies related to mental health, traumatic brain injury, and polytrauma care for veterans. Before joining AMVETS as Chief Medical Executive, she worked as the Associate Executive Director of Medical Services & Health Policy for Paralyzed Veterans of America, where she championed the construction of seven VA specialized care centers and led a team of clinicians and architects on hundreds of site visits, resulting in vast improvements in access to and quality of care for catastrophically disabled veterans, as well as policy revisions that helped standardize how these veterans received care. Mrs. McKenzie also served as chairperson for seven consecutive years for the world’s largest continuing education conference for neuromedicine healthcare professionals, bringing together nearly 900 leading clinicians and researchers in specialized healthcare. She also successfully championed the addition of 1,000 nurses to specialized VA healthcare through the development of a new nurse staffing methodology that changed the way VA delivered care for the country’s most vulnerable veteran population. Mrs. McKenzie received her Bachelor of Science in Nursing from Loma Linda University and a Masters of Business Administration from the University of Southern California. In January 2016, she earned a second Masters Degree in Healthcare Administration from Walden University. 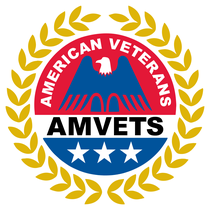 AMVETS is the nation’s largest and oldest Congressionally-chartered veterans service organization that is open to and fights for all veterans who served honorably, including reservists & guardsmen. AMVETS has been a nonpartisan advocate for veterans and their families for more than 70 years. An accomplished and knowledgeable Executive with over fifteen years of experience in non-profit development, business development, marketing and fundraising. Proven track record in managing staff, developing new business, meeting revenue and fundraising goals. Skilled in developing donor retention programs and growing new and existing corporate relationships. Fertie Brand is the 2018 AMVETS Convention Chairperson. Brand was born in Easley, SC, and is the seventh of 10 children. She is also the mother of two sons and five wonderful grandchildren and two great grandchildren. Brand moved to Florida in 1972 and began her career in Financial Management at the University of South Florida, retiring after 33 years of service as the Assistant Director of Research Compliance. Fertie joined the United States Army Reserves in 1974, retiring after 21 years as a Master Sergeant. She joined the AMVETS in 1990. Through her dedication and hard work she worked her way through the chairs and was elected and served as Department Commander from 2002 – 2004. She was the first Black female to ever hold this office in the State of Florida. Fertie was elected National Finance Officer and served from 2008 – 2010. She currently serves as the Department of Florida’s Executive Director. Take advantage of USAA’s competitive products and award winning service and support AMVETS at the same time! Apply today for the AMVETS USAA Rewards™ World MasterCard©. USAA Bank makes a contribution to AMVETS when you open an AMVETS credit card account, and you begin accruing rewards points with every purchase. Follow the link below to learn more about USAA insurance, home and auto financing through USAA Bank, and financial advice to help you with your financial future. Join USAA and support AMVETS today! Help us stuff registration bags and enjoy free pizza after! The AMVETS National Service Foundation holds final meeting of fisclay year 2018 to approve its 2019 budget. AMVETS National Executive Committee meets in its annual pre-convention meeting. AMVETS Chief Development Officer Christine Kirkley presents. Junior AMVETS, will have a $10 all-you-can-eat breakfast fundraiser!. Pancakes, sausage and coffee or orange juice. 0700 until 0830 or when the food runs out. Please support our future, support the Junior AMVETS program at all levels. Continued from the morning session only if necessary. Purchase your banquet tickets online now at http://bit.ly/2JxOiIB. Registration closes at 10 a.m. sharp. If anyone is left in line at 10, they will be permitted to register. National Officers elected at 10 a.m.